Boerhavia coccinea leiocarpa (Heimerl) Standl. Boerhavia repens diffusa (L.) Heimerl ex Hook.f. A very popular medicinal plant, especially in India, where it is widely used in Ayurveda. Medicines containing this plant are sold worldwide. 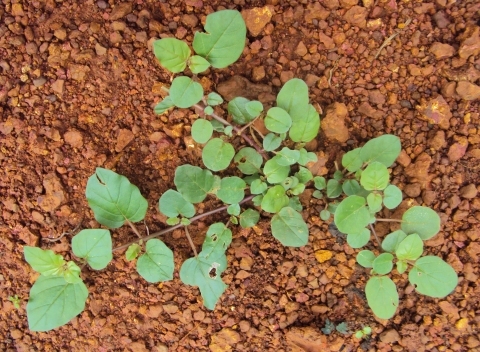 The plant is gathered from the wild and is also sometimes used as food. The original native range is unclear, the plant is widespread in the tropical regions of Africa, Asia, America, Australia and the Pacific Islands.